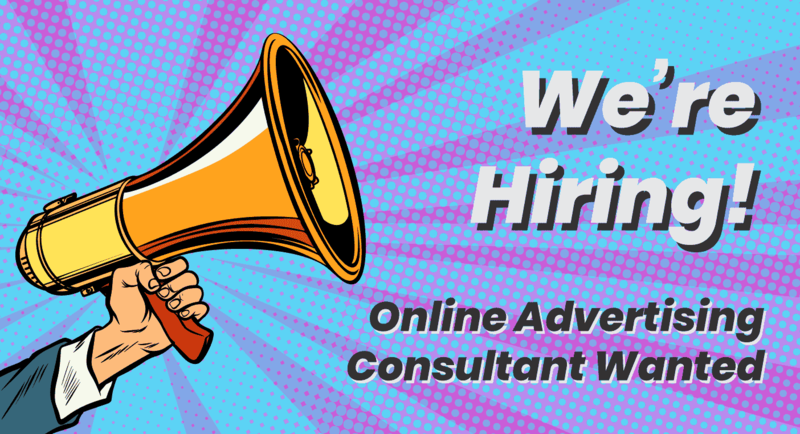 The Refuel Creative team are looking for an experienced Online Advertising Consultant to join our growing team. You’ll be the point person for our PPC clients, optimising their online advertising to help them meet their goals. You’ll work with the Refuel team and our clients to attract site traffic, split test, measure conversions and provide reporting. This is a full-time position with flexibility, opportunities, and a negotiable salary in line with your experience. You will be experienced in online advertising and looking for the next step in your career. You will have some runs on the board and experience in a mix of industries. You will be comfortable with project management and time tracking and prepared to develop campaigns collaboratively with our team and clients. Developing, managing and optimising client PPC campaigns in both Google and Bing Ads. Working with the Refuel team to develop display campaign creative. Establishing closed-loop analytics to understand the return on investment of PPC campaigns. Providing reporting to clients on a monthly basis. Constantly working to improve our processes and reporting. Developing proposals for new PPC leads to attract new online advertising clients. It would also be ideal if you have some HubSpot experience or certifications, to assist in developing closed-loop analytics. Experience with Google Ads, Google Ads Editor and Bing Ads including Google Shopping and Retargeting. Experience with Facebook Ads including retargeting and split testing. Experience in managing client accounts and expectations. You will have experience working with clients to explain marketing concepts to help them make informed decisions on their PPC strategy. Google Analytics, Tag Manager, Optimizer, Merchant Centre and Search Console. Databox or equivalent data board reporting tool. Technical SEO/SEM tools such as SEMRush, Ahrefs, etc. Google G Suite, including Google Docs, Sheets and Slides. HubSpot or other CRM/Marketing Automation tools. What can Refuel Creative offer you? Refuel is a young, hungry, fast growing marketing agency. We use cutting edge marketing tactics, with a focus on digital marketing and search engine optimisation. Our aim is to help clients achieve their goals and grow their organisations. We do things differently, with all of our marketing backed by technology know-how. We have a strong focus on assessing global marketing trends and bringing them to Australia. A modern office environment in the heart of the renewed Port Adelaide district. We’re surrounded by excellent restaurants, pubs, and a short walk to the new Pirate Life Brewery. Choice of Mac or PC computer with large, dual monitors. Great coffee free in the office. Entirely modern technology platforms with a cloud-first focus. No frustrating legacy tech! Industry connections, working directly with our partners like HubSpot, Drift, Google and Bing. Training & development opportunities so you can develop your skills and be involved in our continued evolution. Flexible working arrangements. While this position is full time, we are happy to consider candidates interested in working part-time. Once you complete onboarding and are comfortable within the business, there will be opportunities to work from home too. The opportunity to either work from our Port Adelaide, South Australia office or assist in opening our Darwin, Northern Territory office. Occasional travel opportunities, including meeting our NT clients, and attending partner events interstate and overseas. Refuel Creative is an equal opportunity employer, and we encourage people from a range of backgrounds to apply for this position. We are very much a team environment, and you’ll have the opportunity to collaborate across our team. You’ll require initiative and a drive to succeed and improve both personally and to drive Refuel forward. A cover letter that outlines why you’re the best person for the job. This is your opportunity to demonstrate your experience addressing our key criteria above. Your resume that shows us your certifications and industry experience. If you have any questions about this position, remuneration or flexibility, you can book a time for a confidential discussion.